We have just introduced a new range of battery chargers manufactured by NUMAX. 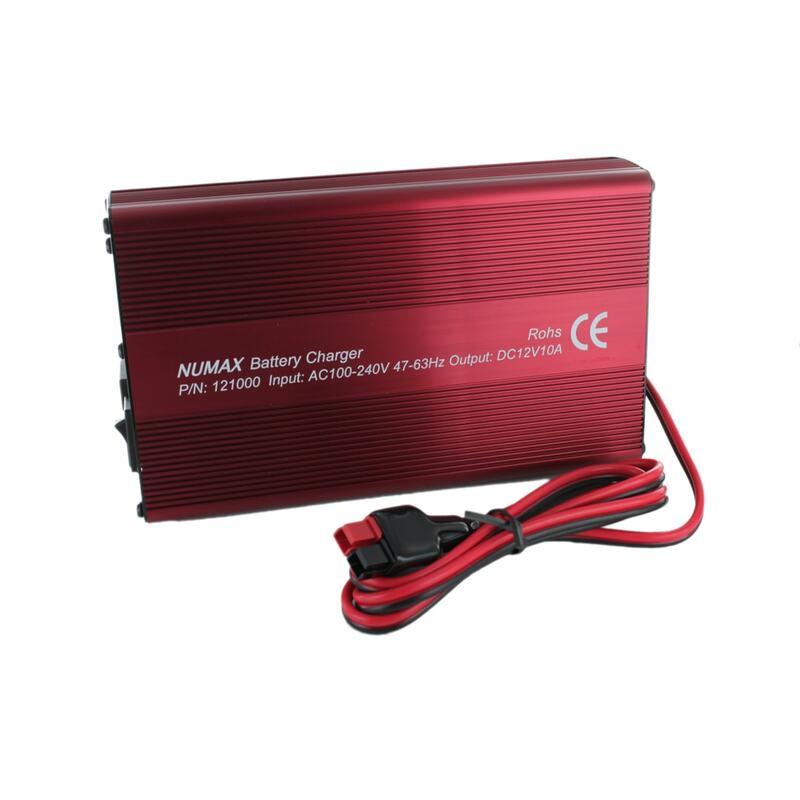 The NUMAX 12V 10A (121000) Sealed Lead Acid Battery Charger is ideal for leisure and caravan batteries and all batteries up to around 135Ah. These battery chargers have been specifically designed for lead acid batteries and incorporate features such as Deep Discharge Recovery, Fast Cycle Charge and long term battery maintenance. We you have finished charging your batteries you can simply Connect and Forget. You can rely on these battery chargers to make sure your batteries are kept in peak condition.